Posted August 15th, 2018 by Jordan Szymandera & filed under Hamilton Landscape Design. If you are in need of professional “Hamilton Landscape Design” then look no further than the professionals here at Pro-Loc Interlocking & Landscape Design Ltd. We are a privately owned company established in 2003. With an early focus on residential interlocking and landscaping contracts, Pro-Loc has matured into a full service residential and commercial landscaping company with expertise spanning all aspects of large-scale project disciplines. Our craftsmen take great pride in both the quality of their work and the aesthetic beauty of the finished product. To view some of our landscape design work, visit our project gallery. Re-purposing lifeless, uninspiring spaces and walkways into elegant interlocked and landscaped areas will add that finishing touch to your exterior. If you have a question or inquiry regarding our Hamilton landscape design services then simply give our team a call today to learn more! We are always happy to inform and assist when it comes to landscape design. Posted August 8th, 2018 by Jordan Szymandera & filed under Etobicoke Interloc Driveways. 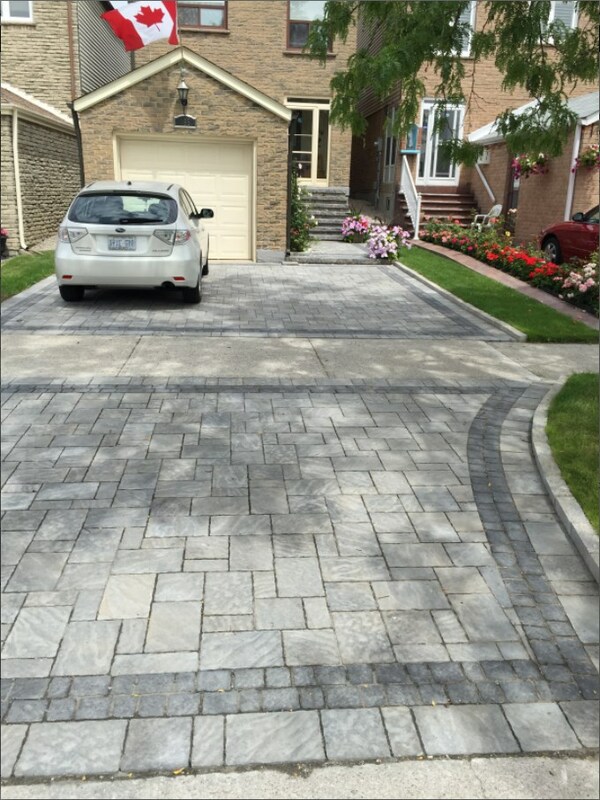 If you are seeking professionally installed “Etobicoke Interloc Driveways” then you have found the right place! 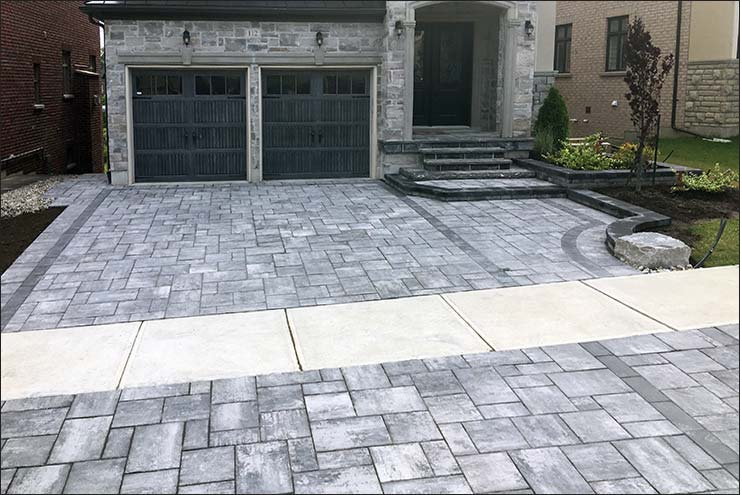 Pro-Loc Interlocking & Landscape Design Ltd. is a multi-craft employer providing a wide variety of services ranging from individual turnkey installations to large-scale specialty subcontracting assignments including Interlock Driveway Installations. 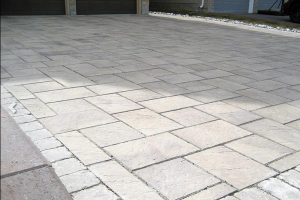 Have a question regarding our Etobicoke interloc driveways options? Simply give our team a call today to find out more. 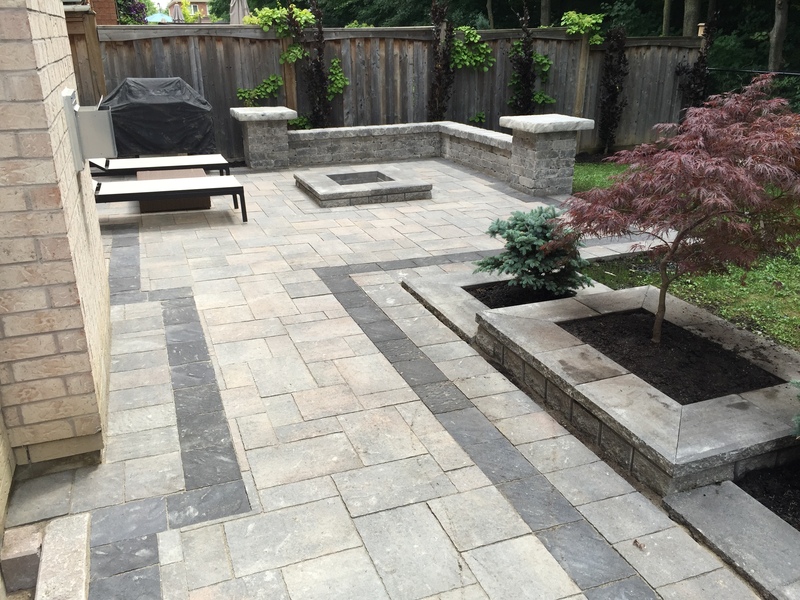 At Pro-Loc Interlocking & Landscape Design Ltd. we offer a full selection of interlocking and design services. If you are seeking a specific services such as interloc patio installation, give us a call and allow us to resolve your interlocking requirements. Posted August 1st, 2018 by Jordan Szymandera & filed under Interlocking Company. If you are in need of a professional “Mississauga Mulch, Sodding, & Seeding” services then look no further than the professionals here at Pro-loc! Pro-Loc Interlocking & Landscape Design provides a full selection of landscaping services, including professional mulch and sod installation options. We frequently use mulch and sod to compliment our services, such as our custom landscape design options. 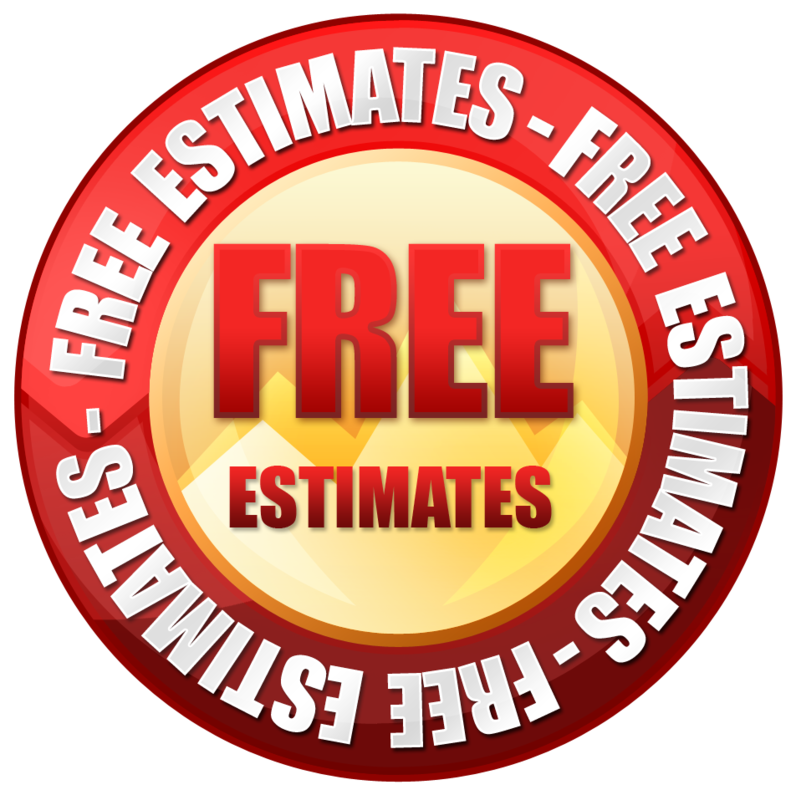 We also provide full stand-alone lawn and yard installation options. Have a question or inquiry regarding our Mississauga mulch, sodding, & seeding options? Give our team a call today to learn more regarding what we can do for you. Posted July 22nd, 2018 by Jordan Szymandera & filed under Milton Interloc. Are you looking for professional “Milton Interloc” services? If so then you are in the right place! Here at Pro-loc we offer a full selection of interloc services for our clients and would be happy to assist you as well. Pro-Loc Interlocking & Landscape Design Ltd. is a privately owned company established in 2003. With an early focus on residential interlocking and landscaping contracts, Pro-Loc has matured into a full service residential and commercial interlocking company with expertise spanning all aspects of large-scale project disciplines. Today, we successfully manage commercial and residential interlocking and landscape design projects all across southern Ontario. Whether you are looking into interloc driveways, interloc walkways, interloc patios, or virtually any other kind of interlocking services, simply give our team a call today and learn more. 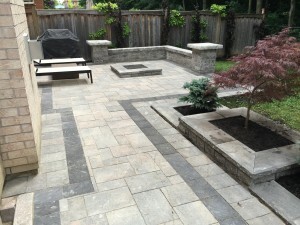 For over 10 years, Pro-Loc Interlocking & Landscape Design Ltd. has been providing Interlocking and Landscaping services for homeowners and businesses throughout the Greater Toronto Area. Pro-Loc Interlocking & Landscape Design Ltd. provides customer satisfaction by delivering detail-oriented craftmanship. Quality is our focus, service is our specialty and satisfaction is our guarantee. Let us add style, elegance and value to your home. Our service area within the GTA includes Mississauga, Oakville, Milton, Georgetown, Brampton, Etobicoke, Woodbridge and Vaughan. Posted July 15th, 2018 by Jordan Szymandera & filed under Vaughan Interloc Driveways. Are you looking for professionally installed “Vaughan Interloc Driveways”? If so then you have found the right place! Here at Pro-loc we offer a full selection of interloc services in Vaughan. Have a question regarding our Vaughan interloc driveways? Simply give our team a call today and find out more regarding what we can do for you. Posted July 8th, 2018 by Jordan Szymandera & filed under Oakville Interloc Driveways. 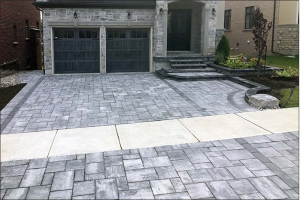 If you are seeking beautiful and professionally installed “Oakville Interloc Driveways” then you have found the right place! Here at Pro-loc we offer a full selection of interloc services in Oakville, and would be more than happy to assist you with your interlocking needs. Our 24 month guarantee assures that any repairs required in the first two years are fulfilled by Pro-Loc Interlocking & Landscape Design Ltd., quickly and at no additional cost to you. Have a question or inquiry regarding our Oakville interloc driveways? Simply give our team a call today to learn more. We offer many interloc services including walkways, patios, pool decks, and more. Posted July 1st, 2018 by Jordan Szymandera & filed under Richmond Hill Interloc Patio. 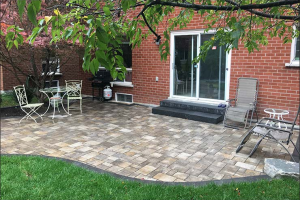 If you are in need of professional “Richmond Hill Interloc Patio” services, then look no further than the professional here at Pro-Loc! Repurposing lifeless, uninspiring spaces and walkways into elegant interlocked and landscaped areas will add that finishing touch to your exterior. Our years of experience in interlocking products provides us extensive knowledge in quality selection. Interlocking stones can offer timeless solutions for a variety of projects including driveways, walkways, outdoor patios, stairways, pool decks and more. Interlocking stones can withstand high traffic and a wide variety of Canadian weather conditions. 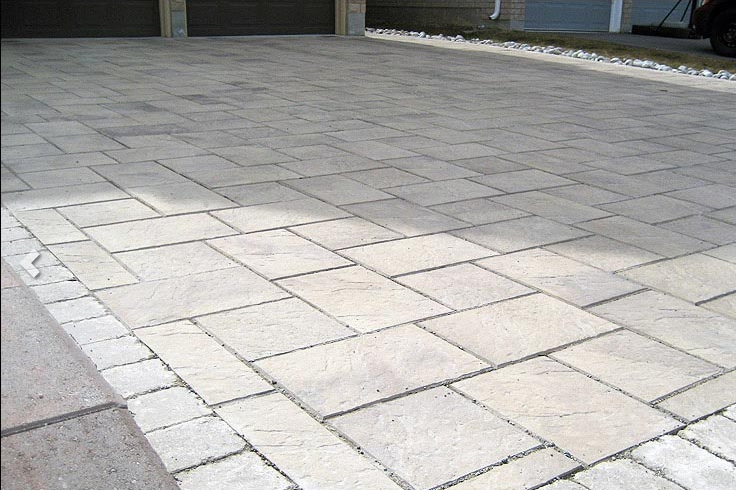 Have a question or inquiry regarding our interloc patio services in Richmond Hill? Simply give our team a call today to learn more regarding what we can do for you! Posted June 25th, 2018 by Jordan Szymandera & filed under Flagstone & Natural Stone Interlocking. If you are seeking high quality flagstone and natural stone interlocking services then you have found the right place. Here at Pro-Loc Interlocking & Landscape Design we offer a multitude of flagstone and natural stone options, and would be more than happy to assist you with stone requirements. We use only the highest quality materials for all of our interlocking and landscape design services, including premium quality flagstone and natural stone. Have a question or inquiry regarding our flagstone or natural stone interlocking services, simply give us a call today to find out more regarding what we can do for you! Posted June 18th, 2018 by Jordan Szymandera & filed under Markham Interlocking Patios. If you are looking for professionally installed “Markham Interlocking Patios” then you have found the right place! At Pro-Loc Interlocking & Landscape Design Ltd., we specialize in interloc patio installations and would be more than happy to service your interlocking requirements. We have been serving Southern Ontario’s interlocking needs for over a decade and have the tools, experience and know-how to turn any interlocking project into a huge success. You’ll love the way your beautiful interloc patio transforms your backyard. If you have a question or inquiry regarding our Markham interloc patio installation services, feel free to give us a call today at 647-931-5276 and speak to a member of our team. We’re here to help! Posted June 11th, 2018 by Jordan Szymandera & filed under Scarborough Interloc Driveways. If you are in need of professionally installed “Scarborough Interloc Driveways” then you have found the right place! Here at Pro-loc we offer a full selection of interloc services in Scarborough, and would be happy to help with your interlocking needs. f you wish to view some of our interloc driveways, head on over to our gallery where a selection of our finished interloc projects are currently being showcased. 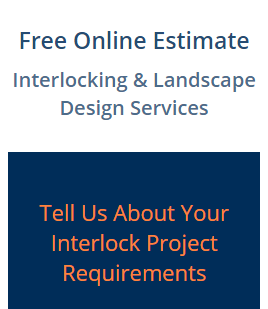 Pro-Loc Interlocking and Landscape Design is constantly updating our portfolio and adding additional online resources for our customers to help increase your ability to find what you need. If you have any suggestions, please let us know. We are always upgrading and updating our website to enhance the user experience. Our craftsmen take great pride in both the quality of their work and the aesthetic beauty of the finished product. Have a question regarding our Scarborough interloc driveways, or other interlocking services? Give us a call today at 647-931-5276, and speak with a member of our team. We would be more than happy to answer any of your interlocking or landscape design questions or inquiries.